Radiofrequency ablation moved quickly from experimental studies to utilization in clinical series. Zlotta et al. (28) and Walther et al. (29) performed radiofrequency ablation in human patients prior to nephrectomy or partial nephrectomy demonstrating its safety in a small number of patients. Later, McGovern et al. reported the first use of radiofrequency ablation with the intent to treat renal carcinoma in 1999 (34). This patient, an elderly individual who refused surgery for a growing 3.5 cm enhancing mass, had a 17-gauge radiofrequency ablation probe placed percutaneously under ultrasound guidance and the tumor treated for 12 minutes. Contrast-enhanced computed tomography scan two hours after the ablation showed a nonenhancing region in the treated area enveloping the previously enhancing tumor. Contrast-enhanced computed tomography at one and three months confirmed nonenhancement in the treated region. The authors cited the need for extended follow-up to determine long-term efficacy. They later reported their experience treating nine tumors in eight patients (including the initial patient above) with a range of tumor sizes of 1.2 to 5 cm, including three lesions smaller than 3 cm and six lesions larger (35). The seven patients with normal renal function were imaged at six-month intervals. Two larger tumors (4.4 and 5.0 cm) demonstrated persistent enhancement and were treated with additional radiofrequency ablation. With a mean follow-up of 10.3 months (range, 3-21) no patient had manifestations of renal cell carcinoma. Hall et al. recently reported an innovative combination of embolization with polyvinyl alcohol and percutaneous radiofrequency ablation in a 67-year-old patient with a 2.5 X 3.0 cm tumor in a solitary kidney (36). A computed tomography scan performed at eight weeks post ablation showed a complete lack of contrast enhancement in the treated area. At three months post ablation, a biopsy revealed fibrous tissue and necrotic cellular debris with no evidence of malignancy. We have successfully employed this same technique in a few central or large (>4 cm) tumors to reduce the circulatory heat sink. Pavlovich et al. reported a series of 24 percutaneous temperature-based ablations in 21 patents using ultrasound and computed tomography guidance (14). With a mean tumor diameter of 2.4 cm, and no tumors exceeding 3 cm, 19 ablations were considered satisfactory at the time of treatment based on reaching and maintaining a tissue temperature of 70°C at all probes during therapy. Follow-up with contrast-enhanced computed tomography was performed at two months with 19 tumors free of enhancement (18 tumors that were thought to be satisfactorily treated and 1 tumor that did not meet the target temperature criteria.) Effects on the kidney were reported in 17 patients, with no change in serum creatinine identified but microscopic proteinuria (1+) appearing in four patients two months after radiofrequency ablation. They concluded that percutaneous radiofrequency ablation was well tolerated but required further evaluation to determine long-term efficacy. The same group recently published the results of familial renal tumors treated with a higher power generator (200 W) (37). Seventeen patients with a total of 24 hereditary renal tumors ranging from 1.2 to 2.85 cm were treated with the Cool-tip Radiofrequency Systemb. Nine were treated laparoscopically and eight bRadionics, Burington, MA. percutaneously. At a median follow-up of just over one year, the median tumor or thermal lesion diameter decreased from 2.26 to 1.62 cm. Only one centrally located lesion (4%) demonstrated contrast enhancement (greater than 10 HU) at 12 months. One patient developed a ureteropelvic junction obstruction, which was repaired at nine months with excision of the previously ablated tumor. There was no evidence of viable tumor tissue on pathological examination. Our group has reported the results of 13 tumors less than 4 cm in diameter (mean size, 2.4 cm) treated with computed tomography-guided percutaneous radiofrequency ablation and 13 patients with 17 tumors (mean tumor size, 1.96 cm) treated with laparo-scopic radiofrequency ablation (15,26). The laparoscopic group included patients with tumors treated and left in situ and other patients who had the tumor treated and excised, known as radiofrequency ablation-assisted laparoscopic partial nephrectorny. In the percutaneous group, 12 of the 13 tumors were completely ablated with the first treatment, as evidenced by absence of enhancement on follow-up computed tomography imaging. The one tumor that demonstrated enhancement of a residual peripheral rim on a six-week computed tomography scan was retreated with radiofrequency ablation. Follow-up contrast-enhanced computed tomography imaging shows no persistent enhancement of this tumor. In the laparoscopic in situ group at least six-month follow-up was available in eight patients, with all eight showing no evidence of tumor. One patient in the radiofre-quency ablation-assisted laparoscopic partial nephrectorny group showed a margin positive for ablated tumor cells, i.e., the tumor cells were present at the surgical margin, but these tumor cells appeared to be ablated by the radiofrequency ablation treatment. This patient continued to be disease-free at one-year follow-up. We have seen one patient with disease recurrence in the treatment bed. This patient was initially treated with cryotherapy and suffered a recurrence prompting percutaneous radiofrequency ablation. Although initial follow-up imaging after radiofrequency ablation demonstrated no contrast enhancing lesions, later studies revealed an enhancing nodule. This nodule has since been retreated with radiofrequency ablation. Similar to the experience of Pavlovich et al., we have not identified any significant changes in renal function or blood pressure attributable to radiofrequency ablation (38). Our series has since grown to over 100 patients, with only two treatment failures and one local recurrence after a mean follow-up of 14 months. There has been no evidence of distant metastasis. Three deaths have occurred, unrelated to the renal tumor (stroke, primary lung cancer and pneumonia). Recently, a number of groups have published additional results using image-guided percutaneous radiofrequency ablation to treat small renal tumors (Table 4). Although follow-up has been short, averaging nine months, the success rate has ranged 81% to 100%. Abbreviations: PC, percutaneous; TB, temperature based; IB, impedance-based with cool-tip. Recently, a number of groups have published additional results using image-guided percutaneous radiofrequency ablation to treat small renal tumors. Although follow-up has been short, averaging nine months, the success rate has ranged 81% to 100%. nicotinamide adenine dinucleotide activity in four of the five specimens evaluated. In contrast to the study above, they observed these areas of viability within the ablation defect. They concluded that current radiofrequency ablation regimens are ineffective for total tumor destruction, though they acknowledged that their conclusion was based only on immediate removal of the tumor. In contrast, Matlaga et al. similarly studied tumors that had been treated with radiofrequency ablation prior to radical or partial nephrec-tomy with dramatically different results (35). In their series of 10 patients, 8 demonstrated complete tumor nonviability based on hematoxylin and eosin staining as well as nicotinamide adenine dinucleotide staining. Two tumors showed evidence of viability. 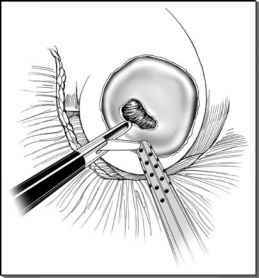 However, the authors noted that failure of radiofrequency ablation was expected in both cases, as one tumor did not reach adequate temperatures during treatment and the other was too large (8 cm in diameter) to be treated with the probes they employed during the studies. They concluded that radiofrequency ablation does completely ablate renal tumors with minimal collateral damage to surrounding renal tissue.